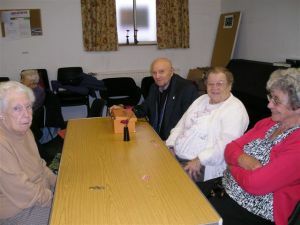 The Trinity Link Care Club meet weekly each Wednesday morning to provide a friendly and social environment which gives carers and those otherwise housebound a welcome break and time away from the home. There is a varied programme of activities and talks etc. followed by a freshly cooked meal. Enquiries are welcome, and for further information please 'phone Margaret Gannicott on 01245 262399 or contact the Church Office. 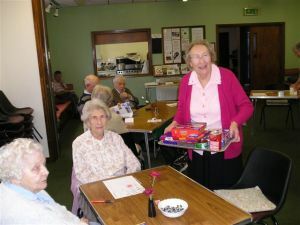 Below are some recent pictures of a meeting of Trinity's Link Care Club.